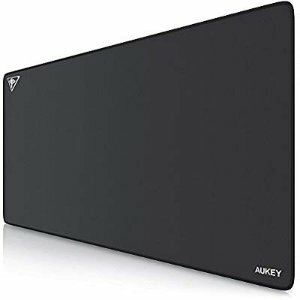 Amazon.com offers the AUKEY Gaming Mouse Pad XXL Large Size for $11.99 via coupon code AUKEY33K . Features: AUKEY Scepter Series KM-P3 is an extended mouse pad that turns an area of your desk into a consistent and comfortable computer gaming or working space. Perfect for playing first-person shooters and for other computing activities requiring extra control like graphic design and video editing.